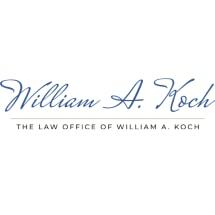 At the Law Offices of William A. Koch, providing excellent service to our clients comes first. Since 1990, our Lancaster, California, law firm has been dedicated to providing quality family law representation to individuals and families throughout the Antelope Valley. Our practice includes services such as dissolution of marriage, legal separation, annulments, child custody and visitation, child and spousal support, property division, domestic violence, restraining orders, relocations and military divorce. Attorney William A. Koch was admitted to The State Bar of California in 1978 and has dedicated his career to family law. In 1994, Mr. Koch was certified as a family law specialist by The State Bar of California Board of Legal Specialization, a designation that indicates a superior level of knowledge and skill. He has served as President of the Antelope Valley Bar Association; as well as Judge Pro Tempore serving Los Angeles County for the Superior Court of California. Most recently, attorney William A. Koch has been named for inclusion in the California Super Lawyers list, an honor bestowed on only 5 percent of attorneys in this field. Our legal staff has been working together for more than 10 years, handling thousands of cases as effectively as possible. We have a working knowledge of the local court rules and procedures, allowing us to guide our clients' cases efficiently through the legal process. As our client you also will receive the highest level of personalized service. We will provide you with regular updates as to the progress of your matter and make ourselves available to address your questions and concerns. To speak to a lawyer about your situation, contact the Law Offices of William A. Koch today. During your initial consultation we will provide you with a realistic assessment of your options and assist you in finding a solution that is in your best interest based on your unique and individual situation. Great communication. Fair pricing. Mr. Koch and Nancy were honest and really helpful in my case. I can’t thsnk them enough.